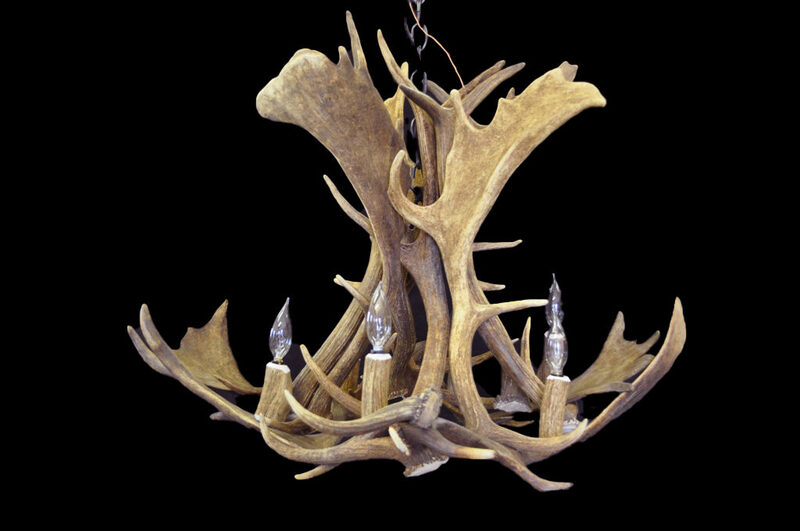 A beautiful combination of Real European Fallow Deer Antler and Rocky Mountain ELk Antler create this intriquing design. Absolutely stunning in a dining room setting, this piece will be admired more than dessert! With five lights and your choice of using 25, 40 or 60 watt bulbs the mood will be perfect. European Fallow Deer naturally shed their antler each year and can live up to 20 years.